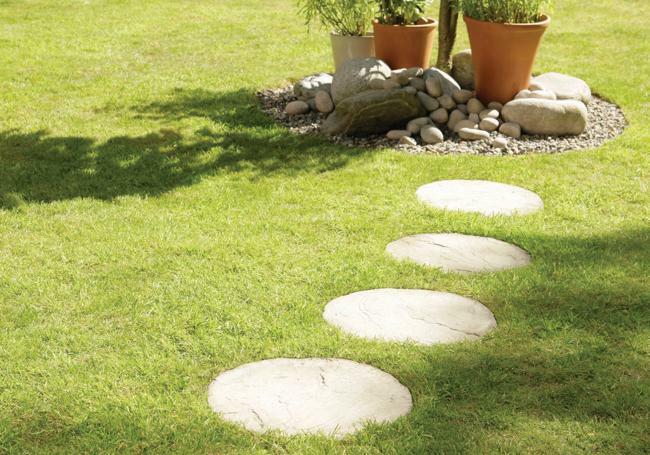 Stepping stones make a lovely addition to any garden – whether as a decorative feature, a practical pathway or even a fun element for children. 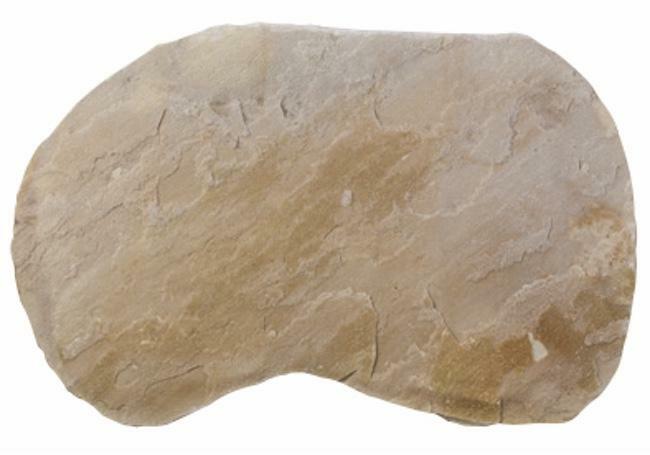 At AWBS we have a wonderful range of garden stepping stones, in an array of styles, sizes, shapes, colours and effects. 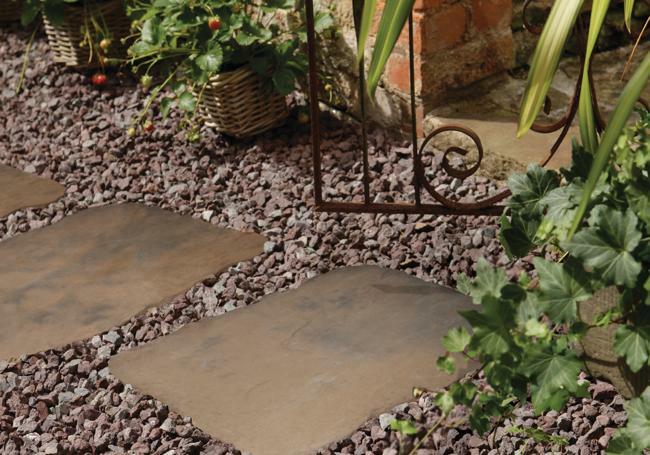 All of our concrete stepping stones offer extreme durability, with a natural riven stone or wood-effect finish. 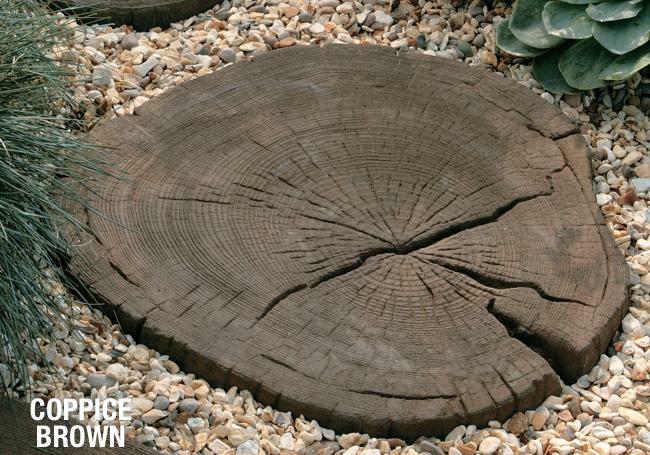 We’re also suppliers of the Stonemarket Timberstone timber-effect stones, which are a fabulous way to incorporate log stepping stones into your garden, without the problems real wood can bring. With our price match pledge and free local delivery from our Oxford, Swindon and Yarnton branches, AWBS is the only place you need to visit. A great way to brighten up and create interest in even the smallest of outside spaces, garden stepping stones give a lovely finishing touch. The Bradstone Natural Limestone stepping stones are a striking blue/black colour, while the Natural Sandstone boasts gorgeous light tones. Both are made from 100% natural stone, perfect for a stunning feature pathway that will also protect your lawn. 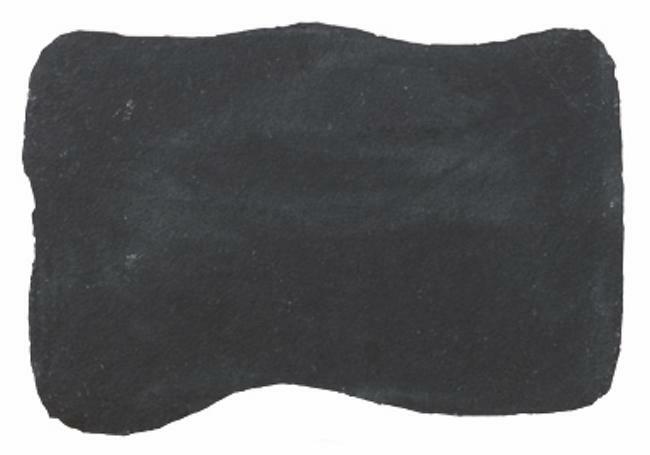 Bradstone Random stepping stones will inject character with their fettled edges and softly riven surface. Supplied in random shapes, they’re available in three wonderful colours. To complement traditional style paving, Bradstone Round stepping stones bring a classic and timeless look, as do the buff tones of the Stonemarket Yorkstone circular stones. When it comes to log stepping stones, Stonemarket Timberstone offers the wonderful, weathered appearance of timber, in a concrete stone. The textured finish gives a truly authentic look and fantastic grip underfoot. Visit one of our branches to view our range of garden stepping stones, and speak to our friendly staff members who are always happy to help.